In this tutorial, I will show you how to use extended events to identify page splits in SQL Server. 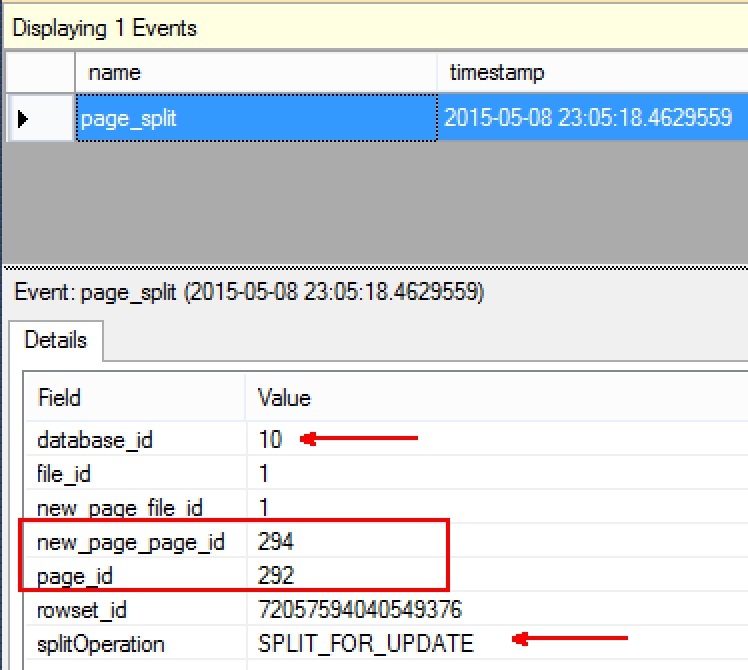 The easiest way to track if page splits are happening in SQL Server is to use the PerfMon Counters. For the records you can start from “SQL Server: Access Methods -> Page Splits/sec”. This counter is quite handy to understand if this behavior happens in our SQL Server instance. Let us first create a database for our experiment. We will also create our Extended Event to track the PageSplits. 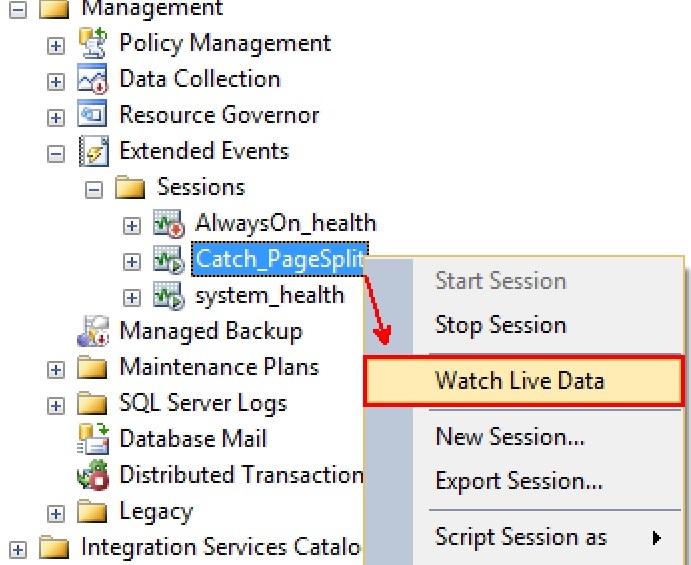 Before we get to the next step, let us start monitoring our Extended Events for any possible page splits. Then, create the scenario of page split by updating a row with some extra data. As you can see, this Page Split has happened because of an Update. The two pages under question are also shown. We can also see the database ID under question that caused the page split. 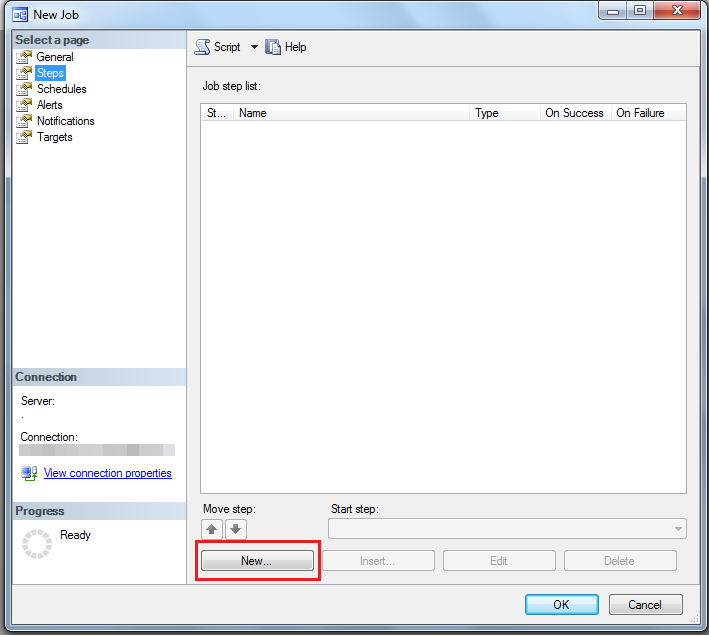 Here during this example I'll show you the way to execute a task or call a store procedure at a specific time(like at midnight) using SQL Server or I will say the way to schedule a job at a specific time. Sometimes you have got to perform something daily, weekly or at a selected gap of your time. Repeat a similar task when by a person is little bit difficult. 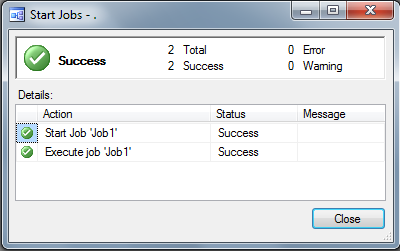 So, in this case SQL is here to solve your problem using SQL Job scheduler. 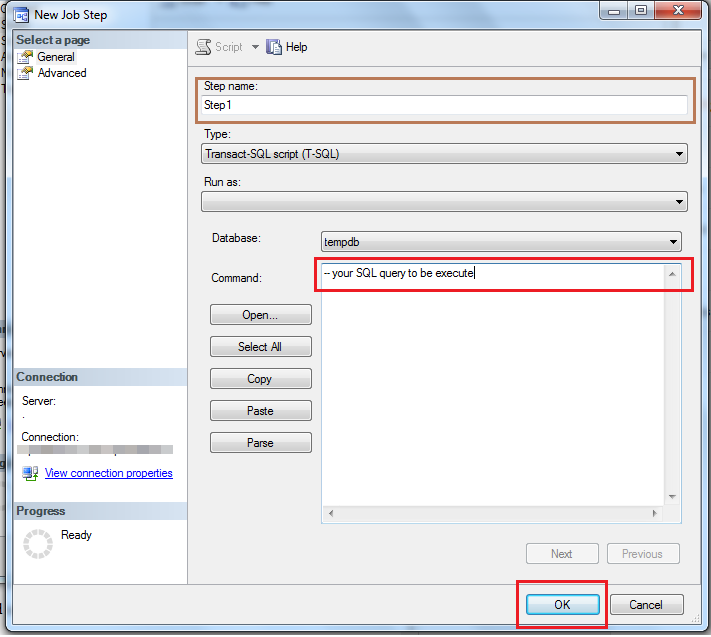 This is often a task you fixed in your server, set timer on at particular time and write down the SQL query to perform. That is all you have got to do. 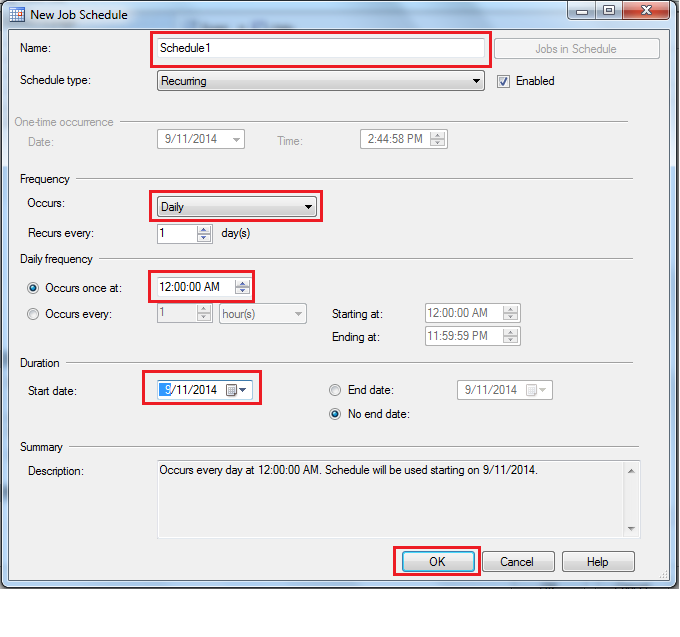 Let’s see the way to schedule your Job at a selected time. 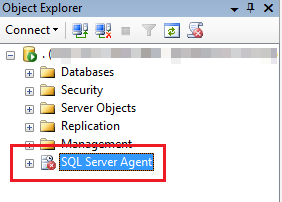 Open your Management Studio and check the SQL Server Agent. 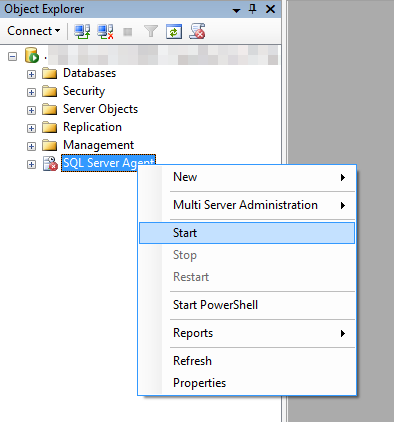 Begin the SQL Server Agent by following steps. After choosing the New Job, a new window will be opened with all the properties of a New Job. Now it’s time to fill up each and every field according to your specification. In the General tabs write down any name according to your project and left the others as it is. Write a name for your step and your query to be executed and select on the OK button. The only thing is left is to start your job. To start the job follow this steps. Here I am going to share how can you take the database backup of all the SQL Server databases at once instead of taking it individually. First, you need to create a folder in any drive to store the backup of database which you are going to take. For example, you have to create a folder named "dbBackup" in my drive "C:\"
Now execute the page and check your Folder "dbBackup" in Drive "C:/" . You will find all the databases backup in it. Now, you are done! Simple, right? In this tutorial, I'm gonna tell you about inserting large amount of random data into sql server tables for performance testing. In this post, let me explain about How to List Out SQL Logins and Database User Mappings. Indexes play an important role in SQL Server performance. Coins always have two sides, just like a well-designed index can improve query performance and an incorrect index can impact query performance. So it is important to find which indexes are not being used. It helps us to reduce storage and reduce the overhead of the database engine to maintain unused indexes. But how can we find indexes that are not being used? In this article, I'm gonna tell you how to identify unused indexes in SQL Server. The absence of an index can result in table or index scans that reduce performance in some case and also too many indexes require extra storage and extra effort to maintain the database and it might slow down insert / update operations. One of the approaches to improve the overall performance is keep used indexes but drop all unused indexes. "dm_db_index_physical_stats" is a dynamic management view related to index statistics. This view gives information about indexes used or unused, it complete or missing some columns is irrelevant. This dynamic view has many important columns like user_seeks (number of seeks by user queries), user_scans (number of scans by user queries), user_lookups (number of bookmark lookups by user queries) and a combination of these three columns provide us a total read count. The column user updates (number of updates by user queries) indicates the level of maintenance on the index caused by insert / update / delete operations on the table or view. A proper join among these DVM and system tables such as indexes, objects and schemas enable us to list all unused indexes for a single database. The preceding query includes the following helpful information. After running the preceding query for the database it will list all the non-clustered indexes for all tables. Now we can determine the unused indexes by comparing the number of reads applied to an index with the number of writes. If we have a number of reads (NumOfReads column in the preceding query) then the indexes are not being used. Base on the query result and application knowledge, we may decide which index needs to be dropped and the last column of the query contains a drop index statement. Today, I will show you how to upload excel file, read Excel file data, save Excel file data & import into SQL Server using SQLBULK in ASP.NET. Next step, add the code in "Default.aspx"
BackColor="#136671" Height="23px" runat="server" Text="Import Excel Data"
Now, write the following code in "Default.aspx.cs"
string strConn = @"Provider=Microsoft.ACE.OLEDB.12.0;Data Source="
You know that RAND() function in SQL Server generates a random float value 0 through 1 (excluding 0 and 1). In this article, I will show you how to generate different random number for each group using RAND() Function. Please note that when you execute it , you may get different random number than what I got for column 2 but all will be same. What if you want to generate random number in such a way that it is reset to each column value (in this case the column is no)? Did you know that RAND() accepts a seed value as well? Please note that when you execute it , you may get different random number than what I got for column2 2 and 3. If you notice the result the values of second column is same for all rows, whereas the values of third column is same withing a group (column no), and different across groups. So if you want to generate random number differently for each group, you can make use of this method. So, you have to move the TempDB to different drive. Moving the TempDB to another drive will help the growth of the file. Sometimes user also moves to different drive due to performance reasons as keeping TempDB on a different drive from your main database helps. By this article, I'm gonna show you how to move TempDB from one drive to another drive. 1) TempDB grows big and the existing drive does not have enough space. 2) Moving TempDB to another file group which is on different physical drive helps to improve database disk read, as they can be read simultaneously. Make sure that TempDB is set to autogrow and do not set a maximum size for TempDB. 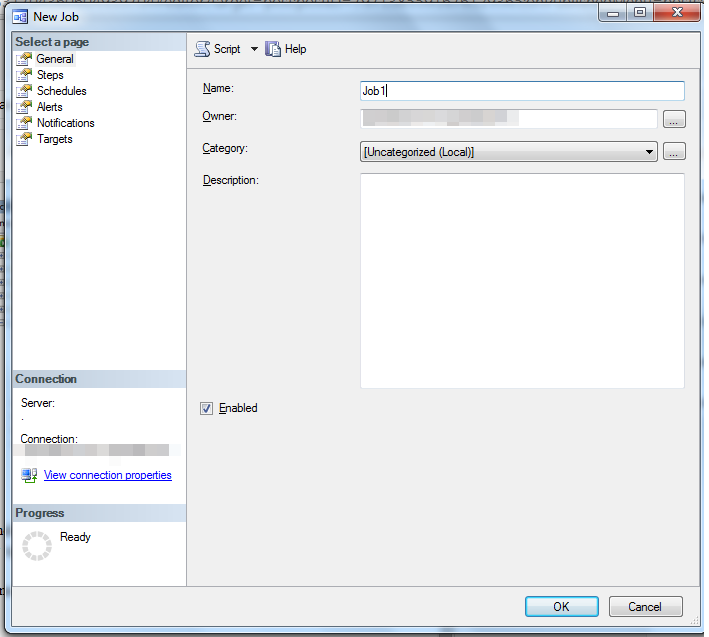 If the current drive is too full to allow autogrow events, then arrange a bigger drive, or add files to TempDB on another device (using ALTER DATABASE as described below and allow those files to autogrow). The definition of the TempDB is changed. However, no changes are made to TempDB till SQL Server restarts. 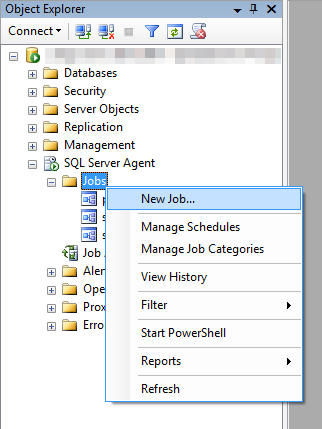 Please stop and restart SQL Server and it will create TempDB files in new locations.